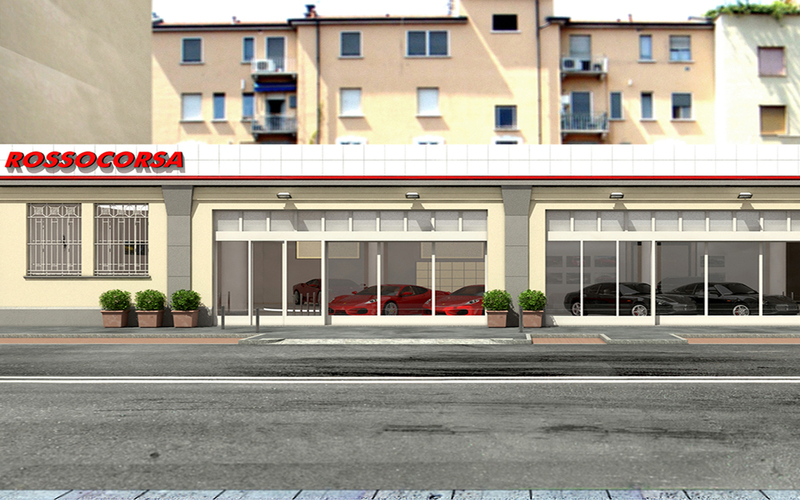 Set in Corso Vercelli area, this showroom of Ferrari brand has undergone an internal makeover to create a suitable space to make the prestigious cars on display stand out. Of the beginning project we decided to keep the metal frame ceiling. For floors, we have chosen a soft grey smooth concrete, in order to bear the high foot traffic of this location. 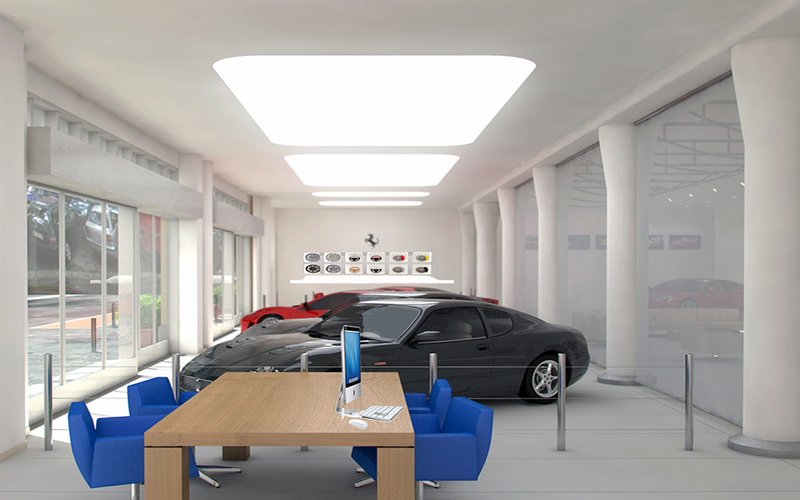 Walls were completely whitewashed with the addition of a tents system that acts as divider in the showroom between exhibition area and sitting room. 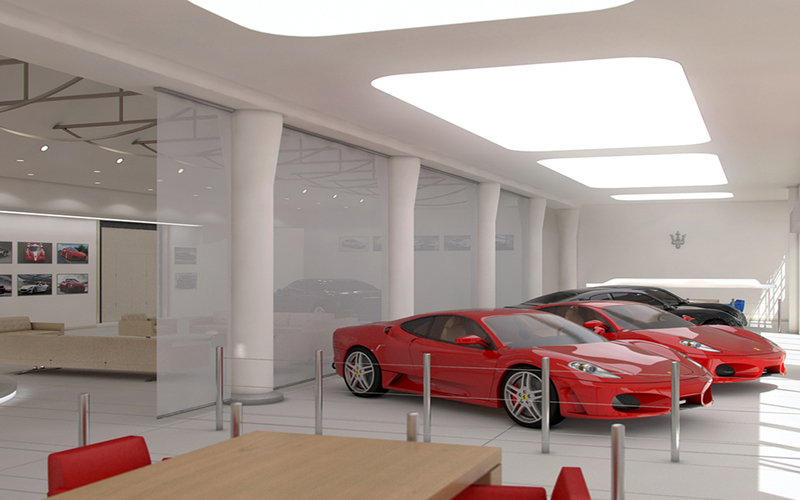 The lighting consists of recessed spotlights in the area open to the public, and of curved ceiling light in shop windows and exhibition area, designed to refer to the sinuous lines of cars. So the environment looks so minimal and strong-tempered, in step with luxury products on display.